Powder hounds rejoice. The BRAND-NEW fleet of Jones boards have arrived! The word powder is synonymous with the name "Jones". Founded by arguably the best back country snowboarder to ever live, Jeremy Jones. They are an innovator of snowboards, splitboards, backpacks & backcountry gear. They strive to be a leader in product sustainability and environmental outreach. Not only do they get the salivary glands going just by looking at them, they perform like no other. They only produce solid back country gear, with the focus being technical progression. Another goal was to be an outdoor industry leader in the fight against climate change. 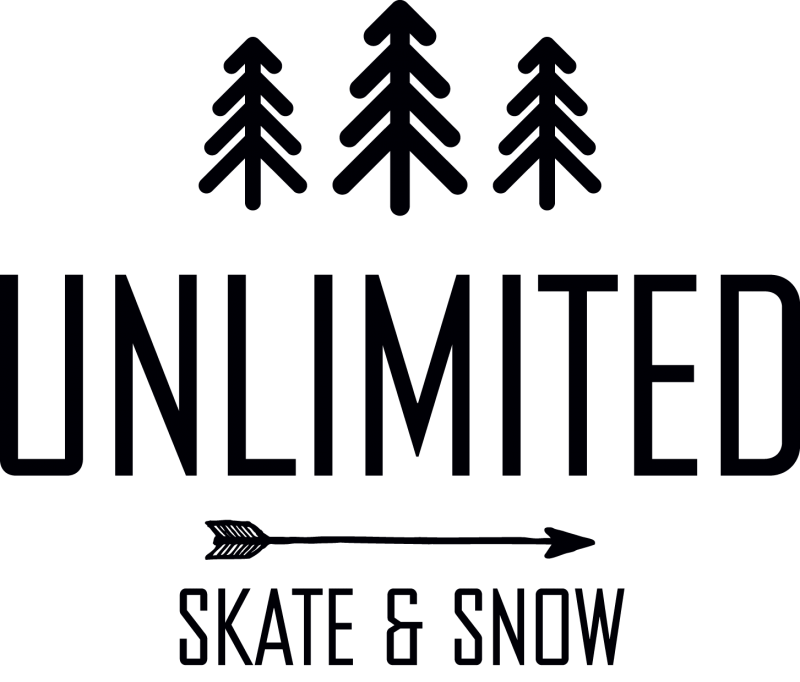 They achieved this by limiting the footprint building snowboards creates through methods such as utilizing raw materials near production sites, cleaner methods of production, recyclable packaging and a limited number of products created yearly. The Dream Catcher is our women's all-mountain board built for riders looking for a high performance directional freeride shape and a friendly flex. The Dream Catcher is stable, confidence inspiring, yet soft enough to be playful in any terrain. The Directional rocker profile and Spoon 1.0 base deliver epic float in the fluff while the camber underfoot and Traction Tech offer awesome edge grip when conditions firm up. The edges of the Spoon nose are beveled up for improved turn fluidity while the tail edges are beveled up for less catch. The Dream Catcher also features an ECO-plastic topsheet for added ECO-performance. The Explorer Splitboard is the perfect all-mountain splitboard for riders looking for a high performance directional shape with a medium flex. The Explorer's floaty, freeride nose is matched with a freestyle tail making it easy to butter or stomp while the Directional Rocker profile and inner/outer edge Traction Tech provide confident stability riding or skinning through tech terrain or rough snow. The Explorer Split also features an ECO-plastic topsheet made from castor beans, stainless steel tip and tail reinforcement plates and a hyper fast sintered 7000 base. For unmatched torsional board connection in ride mode, the Explorer Split comes with Karakoram K-clips. The Flagship excels in steep, technical terrain and is widely known as one of the most confidence inspiring freeride boards on the planet. Featuring a blunt nose, freestyle tail and Spoon 3.0 base contours, the Flagship floats, stomps, or straight lines with unbelievable precision. The edges of the Flagship's Spoon nose are beveled up for improved float and turn fluidity while the Spoon tail edges are beveled up for less catch. Power V Basalt stringers transfer rider input directly to the edges and the Flagship's Flax Fiberglass topsheet improves ECO-performance. New for 2019, we've lightened up the Flagship's Master Core by using wider Paulownia stringers. The Hovercraft is a directional all-mountain board who's nimble maneuverability has earned it a cult following. With a blunt nose, a short stiff tail, and a wide waist width, the Hovercraft is designed to be ridden shorter then your average freeride board as the shape packs serious surface area in a compact package. The unique shape matched with a directional rocker profile and a long sidecut allows the Hovercraft to float through crud, crust or pow plus rail mixed radius turns one and the same. The Hovercraft features Spoon 4.0 base contours with the edges of the Spoon nose beveled up for improved float and turn fluidity and the tail edges beveled up for less catch. For enhance edge grip in icy conditions, the Hovercraft also features Traction Tech. The Mind Expander is an alternative all-mountain board that wants to slash every terrain feature in sight. Surf shaper Chris Christenson and Jeremy Jones designed the Mind Expander for the creative rider who draws lines blending freestyle, freeride and surf styles. For playful float in pow the Mind Expander features a Surf Rocker profile, SPOON 3.0 base contours and a hybrid directional shape. The blunted nose, full size tail and tight sidecut offer the nimble maneuverability of a directional board matched with the freestyle abilities of a directional twin. New for 2019, we've added Web Fused Carbon to the nose to eliminate vibration and smooth out the ride in rough snow. The Mountain Twin is our time tested directional twin designed for freestyle focused freeriders who want one board that can do it all. It's built to shred the entire mountain like it's a skatepark without sacrificing high-speed, line-bombing stability. Rocker tip and tail make poppin' pillows or pressin' boxes equally easy and give the Mountain Twin float and finesse in soft snow. Camber underfoot combined with Traction Tech give the board snap and hold carving hard pack or boosting out of the halfpipe while the Mountain Twin's Power Core is specially profiled for unmatched torsional response between the feet. The Discovery splitboard is the world's first splitboard designed for youth and small adults. This fully featured splitboard throws open the door for smaller riders to confidently ride advanced backcountry terrain on a legit high performance freeride board. Tech features on the Discovery like Progressive Sidecut allow for easy turn initiation, while the Blunt Nose and Directional Rocker profile keep any size rider cruising through the inevitably variable backcountry conditions. Full wrap recycled steel inner edges keep the Discovery locked in to the slope on icy skin tracks. The Dream Catcher Splitboard is the perfect all-mountain splitboard for riders looking for a high performance directional shape with a forgiving, playful flex. The Dream Catcher's floaty, freeride nose is matched with a freestyle tail making it easy to turn in any terrain while the Directional Rocker profile and inner/outer edge Traction Tech provide confident stability riding or skinning through rough snow conditions. The Dream Catcher Split also features an ECO-plastic topsheet made from castor beans for added ECO-performance, plus stainless steel tip and tail reinforcement plates for added durability and a hyper fast sintered 7000 base. For unmatched torsional board connection in ride mode, the Dream Catcher Split comes with Karakoram K-clips. The Women's Solution is the ultimate all-terrain splitboard and delivers unrivaled backcountry performance in any snow condition. The blunt nose, directional rocker profile and inner/outer edge Traction Tech keep you locked in and gliding fast no matter where you roam. For improved ECO-performance, the Solution features a new textured ECO-plastic topsheet made from castor beans. The Solution also features the Boltless Bridge that eliminates base hardware, stainless steel tip and tail reinforcement plates for added durability plus Karakoram Ultra Clips for unmatched torsional board lock. New for 2019, we've lightened up the Master Core on the Women's Solution and added Web Fused Carbon stringers for more pop and precision response under the bindings. The Women's Hovercraft is a directional all-mountain board who's nimble maneuverability has earned it a cult following. With a blunt nose, a short stiff tail, and a wide waist width, the Hovercraft is designed to be ridden shorter then your average freeride board as the shape packs serious surface area in a compact package. The unique shape matched with a directional rocker profile and a long sidecut allows the Hovercraft to float through crud, crust or pow plus rail mixed radius turns one and the same. The Hovercraft features Spoon 4.0 base contours with the edges of the Spoon nose beveled up for improved float and turn fluidity and the tail edges beveled up for less catch. For enhance edge grip in icy conditions, the Women's Hovercraft also features Traction Tech. These won't last long so please don't hesitate to give us a call or come in to the shop and see one one these bad boys (or girls) for yourself.